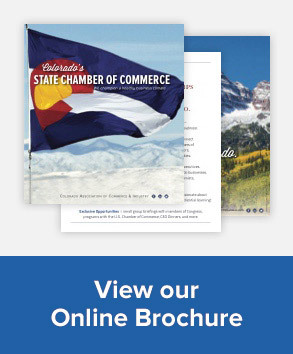 For the last four years under the Gold Dome, there have been generally two outcomes for legislation that have concerned the Colorado Chamber of Commerce. First, there has been confrontation: When bad-for-business bills from the Democrat-controlled House reached the Republican-controlled Senate, they died (see below). Second, there has been collaboration: When House bills on which the Colorado Chamber and its business allies had successfully worked with the Democrat sponsors and some Republicans, the bills were then passed by the Senate (see below). Split control between the House and Senate often forced the four caucuses of the two chambers to work through their differences to end with sound public policy. Now, for the first time in four years, Democrats have secured control of the governor’s office and both chambers of the legislature. What does this mean for the Colorado Chamber’s members and the statewide business community that it represents? “The fight on this issue is far from over, however, and there is every indication that there will be efforts to continue to restrict fracking – it will just happen through the legislative process,” Loren said. “The 2018 elections are a reminder for state leaders, who may be considering the elimination of tax credits or exemptions for businesses, that these incentives are often the only way to bring companies to our state,” Loren said. “As for finding ways to improve our roads, it’s likely we’ll see local jurisdictions ban together and try to fund improvements on their own versus pursuing a statewide funding solution,” said Loren. First, the majority Senate Democrats might temper business-related legislation from the House that, in the past, was crafted and labeled “progressive” or “liberal” because the bills appealed to the base of the party, and the sponsors knew that the bills would not survive in the Senate. Thus, the Democrats saw no need to compromise as the bills were only intended to score political points. Knowing that they will be able to put bills on the desk of Democrat Governor Jared Polis likely to sign them, the Senate Democrats may moderate their positions and work more closely with business organizations to take the concerns of the business community into account. Senator Rachel Zenzinger (D-Arvada) recently told Ed Sealover, statehouse reporter for The Denver Business Journal, that concerns that that the Senate will steamroll the business community are unwarranted because there are pro-business moderates in the Democrat Caucus who are reticent to pass sweeping legislation that would slow the state’s economy and cost jobs. 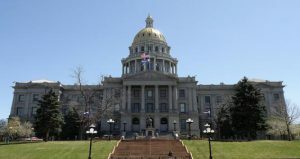 The Colorado Chamber hopes that compromise between the legislature and the Governor and the business community will be the defining feature of the 2019 session. Requiring employers to disclose pay for workers by gender and national origin. If Compromise Cannot Be Achieved . . . The legislature’s majority Democrats and Democrat Governor Jared Polis may choose to charge ahead full-tilt with a progressive/liberal agenda that affects businesses. If they do so, however, they will open themselves up to the charge that they are harming the state’s economy and business climate and costing jobs. In that case, the Colorado Chamber will vigorously fight the bad-for-business bills throughout the legislative process and vocally urge Governor Polis to veto them. This week, the State House and Senate Democrats and Republicans held their leadership elections to determine who would be controlling their respective caucuses. The leadership roles vary in responsibilities and include but are not limited to selecting the Chairs and Vice-Chairs of each committee, managing the activities on the House and Senate Floor, taking leadership positions on legislation and generally managing the members of their caucus. The House Republicans maintained their current Minority Leader, Patrick Neville (R – Douglas) and House Democrats elected K.C. Becker (D – Boulder) who previously served as the House Majority Leader and Alec Garnett (D – Denver) as the Assistant Majority Leader. Wants to encourage opportunities for individuals seeking employment. Noted the adoption of a Departmental rule on independent medical evaluations which affects insurers who write WC policies in Colorado. Concerns were raised by a Colorado Chamber member regarding the current Wage Order and how improvements could be made. Jeff raised concerns that the wage base increase would not be sustainable for maintaining a healthy trust fund if Colorado experiences a recession. Discussed anticipated legislation for 2019 known as the Family Medical Leave Insurance Program which has been attempted three legislative sessions in a row. Department is open to working with legislators and stakeholders on this issue to determine how a program can be funded and how it can function effectively. Please contact Loren Furman at lfurman@cochamber.com or at 303-866-9642 if you should have any questions regarding this meeting or if you would like to participate in future Colorado Chamber Labor & Employment Council meetings.